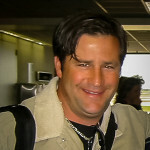 Rich has a wide range of experience and education in organization, team, and personal development. Prior to founding Team Craft he acquired and managed a highly regarded fitness center, spearheaded an award winning real estate development, worked on the corporate staff of a major healthcare company, and served eight years as a program director at the Colorado Outward Bound School. Rich received an MBA from Cornell University and a masters degree in experiential learning from the University of Colorado at Boulder. He has done additional graduate work in organization studies and group process at Virginia Tech and The University of Rochester. 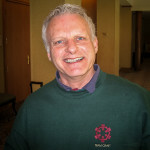 He is a past president of the Association for Experiential Education. Team Craft's highly talented and credentialed associate staff include professionals with strong backgrounds in organization development, corporate training, group process, and interpersonal skills. Included below are short bios on two Senior Associates that have been with Team Craft for several years. Additional associates support large and special programs. Greg is a full-time counselor and facilitator with fifteen years of professional experience. In addition to corporate groups, he has worked in the adult Corrections system and trains SWAT teams in teamwork and communication skills. Greg currently serves as director of experiential learning programs in the Leander, TX ISD, overseeing five state of the art Challenge Course facilities in the district, training and supervising dozens of staff facilitators, and serving thousands of students and community groups. Greg is also a talented musician, actor, avid mountain biker and dedicated parent. He has also been conducting Team Craft programs for over fifteen years. Noel's excitement about experiential learning is contagious. Dozens of corporate teams have gotten caught-up in his enthusiasm and zeal for experiencing life to the fullest. Hundreds of children and adults in Latin America and Eastern Europe have benefited from his involvement in the Association for Experiential Education's ongoing outreach projects. 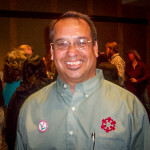 Noel is an adjunct faculty member at the School of Social Work at the University of Texas in Austin. Noel is also an interpersonal relationships and team development coach for several college sports teams in the southwest. Noel is a San Antonio native, fluent in Spanish, proficient in Russian. He is the director of counseling and training at a major youth services agency in the Alamo city. Noel has more tools in his experiential bag-of-tricks than most anyone anywhere. He has been conducting Team Craft programs for over fifteen years. Greg and Noel were great. They were very fluid and worked well with our teams.Team members all responded positively to working with people they have not previously worked with. The program was perfect. © 2019 by Team Craft, Inc. All rights reserved.